It is that time of year when most people are winding down from training after the summer or looking to decide what to do and how to plan their winter training...well to help you, Nopesport brings you a new Training feature! Nopesports very own in-house coach Andy kitchin has produced the 1st, in what we hope will be a series of articles, to help you and guide you through a full cycle of training. Starting from the famous stable of Peter Palmer’s Walton Chasers, Andy Kitchin along with team mates Dave Peel and Steve Palmer, won the JK trophy, all at 18 years old. He went from there to another great centre of orienteering, Sheffield University, during which time he won M21E British Championships aged just 19! Not only that but he retained the title the next year. After graduating in Physiology he moved to the Edinburgh where has been there ever since. 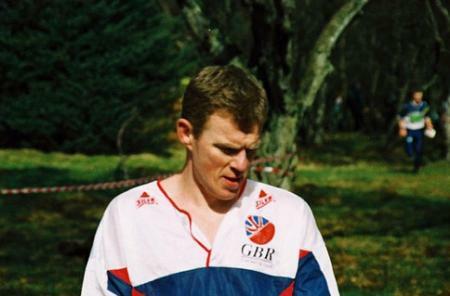 Andy had been a regular member of British International teams as a Junior from 1984 to 1986 and had a long Senior career competing in World Students, World Cups and World Champs right through to 2000. Not was Andy an impressive orienteer but he was also a successful fell runner having won many races and held many records (and still holding a couple), the proudest of which was breaking the great Kenny Stuart’s record for the Carnethy race. He was Scottish Hill running Champion in 1992 and represented Scotland at the World Championships. Not only has he been successful for so many years but all this has allowed him to build up a wealth of training knowledge, some of which will hopefully be passed on to you through this new feature.